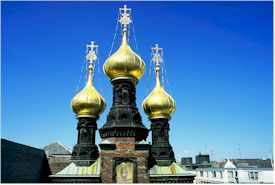 ABOVE: The Russian Orthodox Alexander Newsky Kirke was built in the early 1880s. The city's tourism site has plenty of useful information, including a database of attractions and events. Select a country of origin from the menu to view the Danish Tourist Board's Web site.